This week I got my first Stitch Fix! My stylist, Alyssa, wrote me such a sweet note–she even read my blog! I asked for items I could include in my Spring capsule wardrobe, here’s what I came away with. Overall, I wasn’t blown away, but it was definitely fun… let’s get down to the nitty gritty. Don’t judge the terrible lighting and background. It’s ridiculously cold in Texas, and I was forced indoors without any natural light, ok? Honestly, I loved the fit. These jeans were actually SHORT ENOUGH! *Angels Sing* But there was one problem… I really hated the holes on the knees. I could have dealt with one knee hole, but two? Eh. I fell in love with this top! The polka dot (ish) print was right up my alley. BUT it had elastic on the bottom. Yuck. It made me look even shorter and wider. Not a fan. Ohhh no no no no no! Dolman style shirts + bigger chest + short girl = disaster. I had wings, y’all. WINGS. The style was just horrid on me. Alyssa tried really hard to give me what I want… and this was so close, but so far off. 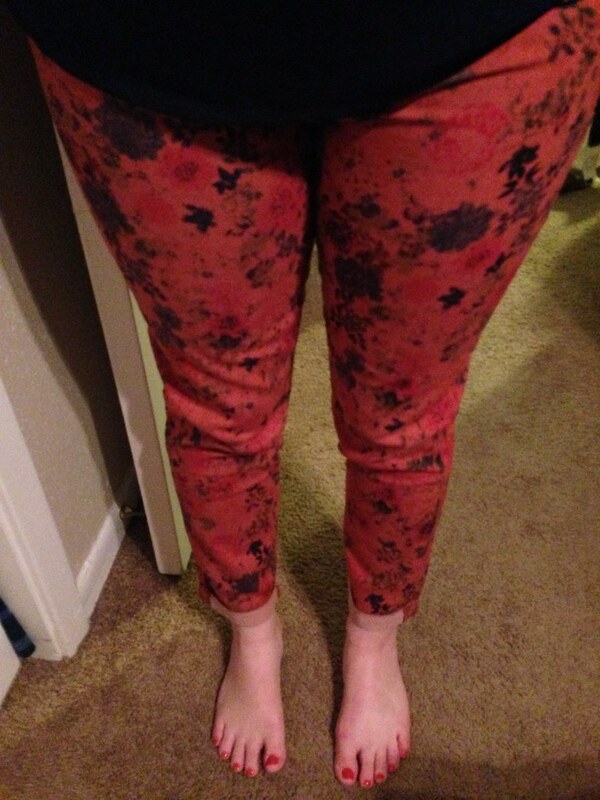 The color and pattern were just horrible–but I do love some statement pants! Next time I know she’ll hit the nail on the head. THIS! I think I actually pinned this top, so I know my stylist must have paid attention to the things that I included in the board. This top was perfect for me. 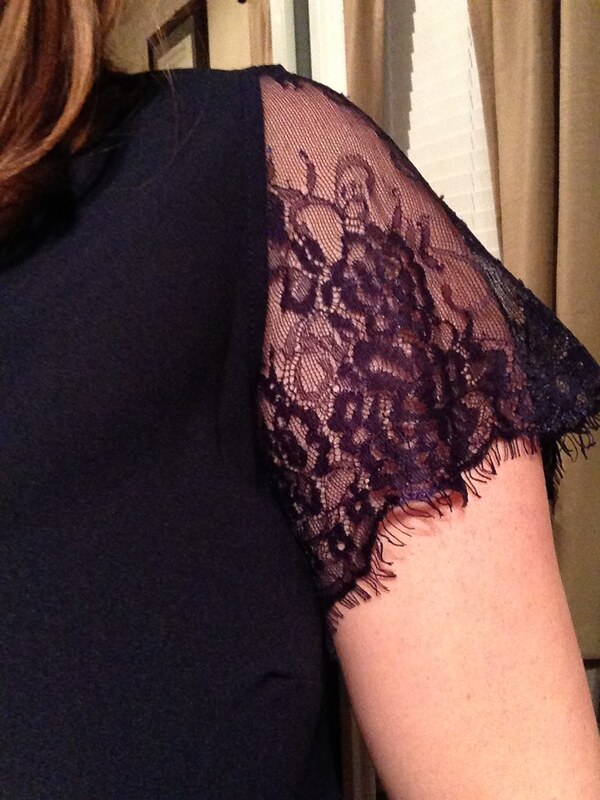 I love the cut and I ADORE the lace sleeves. Simply stunning. I can dress this top up or dress it down and I know that it fits my style perfectly. Have you ever tried Stitch Fix? Full disclosure: This post contains affiliate links. I’m not paid by Stitch Fix, but if you choose to sign up through a link on this site, I’ll get credit to go towards my next fix. Linking up with Karli, Amanda, Miranda, Rebecca, 5 On Friday, and H54F! Love the top you kept and I love the honest review. Obviously, I’ve seen tons of bloggers review SF, but never has one been so candid. I love that you could tell where your stylist was attempting to send something you’d love. I love the black distressed pants on you but if you don’t love them… that’s really all that matters. Thanks Claire! Honesty is just what you get around here! Thanks Meg! I was totally honest with my stylist, so I know my next fix will be even better. I love that you were honest! That last shirt is just too cute! 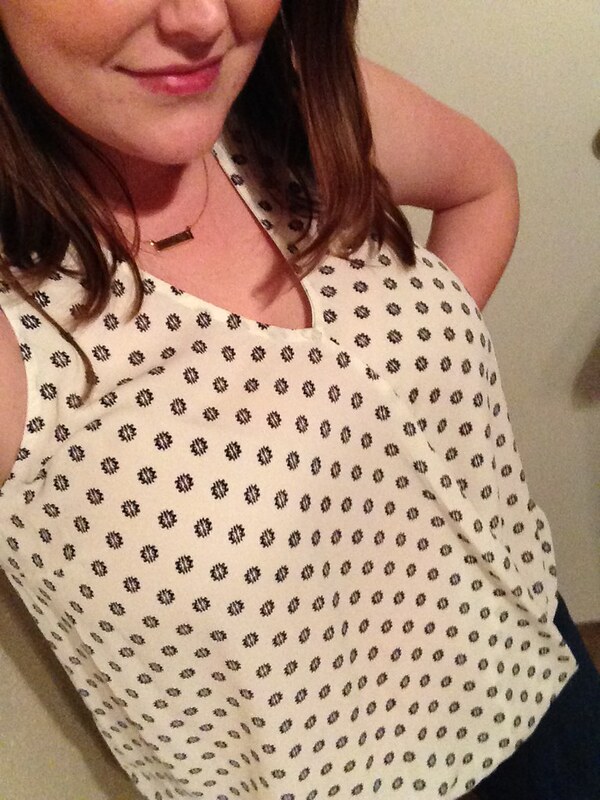 stitch fix…I’ve heard a little about it, but never tried it. Gotta look more into it! You got some cute stuff. Love that cream sleeveless blouse! Thanks Leslie. I had a really great time with it! The cream sleeveless blouse was darling except I hated the elastic hem. Yuck! Haha, we have the same post yet again today! Love it! Obvi, we’ve already discussed our Fixes so you know all my thoughts. My favorite part about this is that we both had a note about poor lighting and photos – Because Texas is a cold, dark place right now. Yuck. Girl. I am rolling over here. I love Stitch Fix! I just got my 8th one. 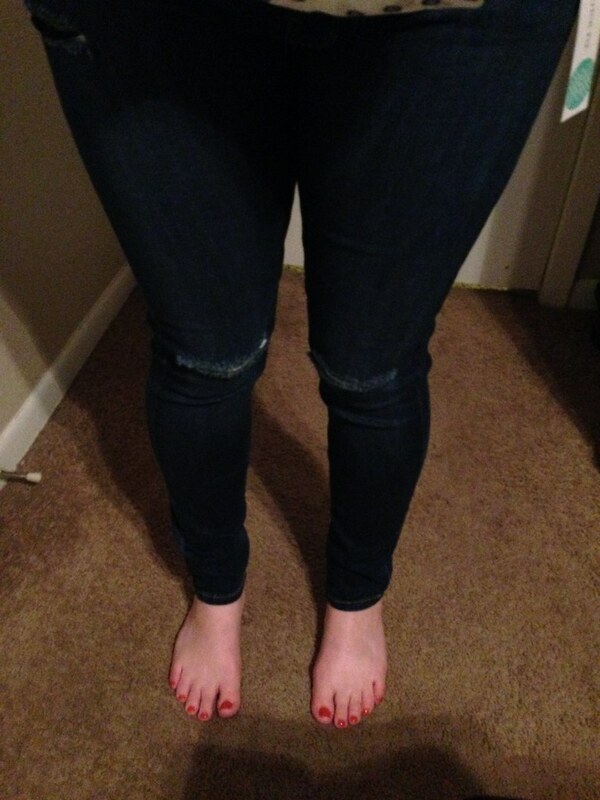 You can see what I got here: http://www.theeverydaywarrior.com/2015/03/04/stitch-fix-review-8-march-2015/ I love those floral jeans that you got, so cute! 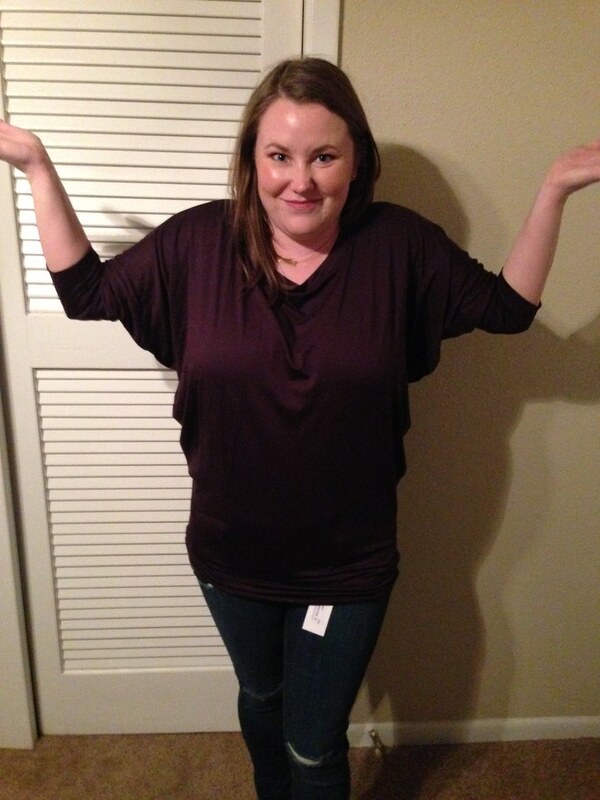 I got that Dolman top in my February box and love it! It takes a few months for your stylist to “get” you so I say give it another try to see what you get next time! I love your Stitch Fix reviews. Ha. Seriously. I was like “wth”?! I think you should go for it if you want a surprise and won’t get upset about possibly being disappointed. It was really fun to see what was picked for me. Haha I love your honesty about the fit of things. I’m very short, too! While I’m technically not a wide build, most clothes have that effect on me since I’m so short and they gather in weird places! The dolman top would have fallen all to my back and made me look like I had a monkey under there or something haha. I want to try Stitch Fix, but I’m extremely picky so in not sure about it haha. Being short automatically makes you look wider. I’m not super wide through my waist, but my shoulders are more broad (thanks, dad) and I have a big bust. I have to go with flattering pieces. Big, drapey things never look good on me. I feel like my next fix will be better now that I’ve given feedback to my stylist. Haha being short is quite a challenge sometimes. I’m so excited to see your next fix! I have been interested, but hesitant! So glad you kept that blouse, it’s perfect!!!! I have found that my fixes get better each time! Thanks Cassie. I was so smitten with it. That’s what I hear–that they get better. Love that top you kept! Definitely the best piece! I’ve done Stitch Fix once, but it can just cost so much that I end up feeling bad! Love that last top on you! SO cute! Le Tote is such a fun concept, too! I love the top you kept…so cute on you!! I really like the pattern on the tank too…too bad it wasn’t quite what you wanted shape-wise. The patterned tank would have been a BIG winner sans elastic hem. That’s right! If you take care of your clothes, they will LAST! I have some pieces from high school, too! My favorite PJs are from high school. Aww bummer. I think all of it looked great on you! 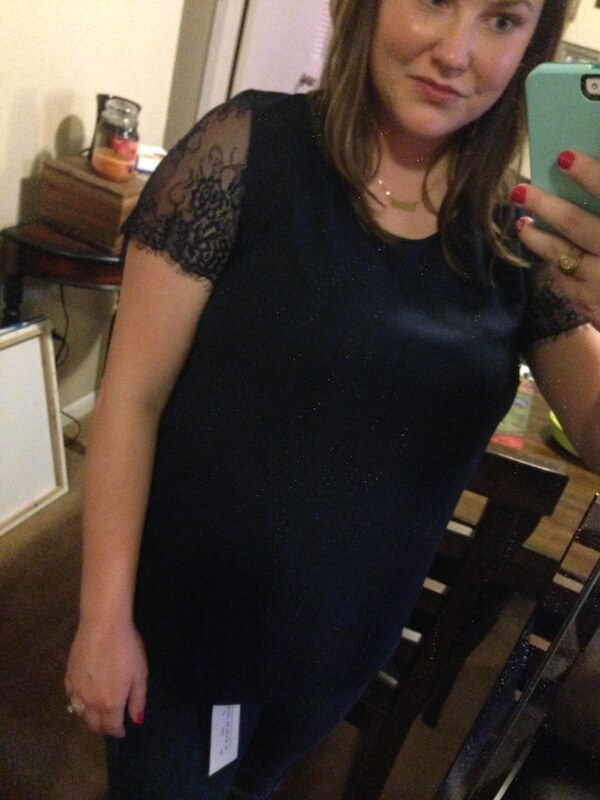 I love the dolman top, it is different from the one I got. I also love the jeans and the polka dot shirt. I am glad you had fun! I LOVE dolman tops on other people, but they just don’t work for me. I love that top, except the elastic waist like you said. But it sure looked cute on! And yes to the lace sleeves on the shirt you kept. Super cute! Right? Ugh. Why would they do that?? So I have been thinking about trying this, but I was all like oh no, what if what I get doesn’t work with my spring capsule? It never even occurred to me to mention to the stylist that that’s what I wanted. Duh! I think your opinions of everything were pretty spot on. The blouse you kept is so gorgeous and perfect! Yeah girl! Tell them what you want! Thanks. 🙂 I’m pretty happy about the blouse I kept. Awe I hate you didn’t get more things that you loved, but being your first one I’m sure it’s all trial and error for a few fixes. I LOVE that lace detail on the last top though. I would have kept that piece too! No biggie. I really expected not to have but 1 or 2 items to keep. Thanks girl. I loved the lace, too! omg that lace top is perfect!! i like the other top you got, but yeah – elastic bottom is not cute on anyone! those jeans are cute but two holes in the same spot? kinda awkward! I’m glad I’m not the only one who hates elastic bottoms! Yuck! Why would they even make those? And yeah… same spot. So so strange. Thanks Kristen! I hate it when a clothing item is SO close to being what you want. Pretty dang amazing that those jeans were short enough. I don’t know if I’ll ever find a pair ‘off the rack’ that are the perfect length. The struggle is real… 😉 Love that lace sleeve top! I was so surprised that the jeans were short enough. The struggle IS real. Thanks girl! Hi! Popping in from the link up. I really love the shirt you kept! I’m a sucker for anything lace! Bummer about the jeans – they look like they fit well. I’m not a fan of the double holes either. I actually told them no ripped jeans in my profile! Lace is my favorite, too! That’s a good idea–I may have to tell them no ripped jeans, too! Those cap sleeves ARE adorable! Definitely a good choice to keep that top! SO cute! I’m sorry more of the things didn’t work out for you, but I looove the top you kept! It looks like the perfect dress up or down shirt. I’m usually not too keen on ripped jeans either, but I actually really love those black pants on you! Also, your nail polish and bar necklace– LOVE! The black pants were totally awesome… but the holes were in an awkward position to me. I wish I could have gotten the same pants with no holes! i LOVE the sleeves on the last one- amazing! I liked those jeans except for the holes. I don’t really understand that in the style section – no matter what age I am – i don’t get it! But I love the shirt you kept! And I am not a fan of bat winged shirts either! Thanks, Vicky. Bummer it didn’t seem to work for you. The jury is still out on whether I love the service or not, but I do think it’s fun! I agree! It’s hard for short girls to find pants. It does sound nice to have the clothes sent right to you, but I’m super picky. Me too! You have to go into it with the right mind set. Good call on that last shirt – it looks amazing! Thanks Amanda. I’m glad I kept it. I hope you can find it! I absolutely loved it. Why oh WHY do shirts have elastic bands?? Drives me up the wall. But love that lace top on you – so pretty!